3. It’s torch could light up the whole neighborhood. And your battery didn’t even get eaten up. 5. And in the rare occasion you did run out of battery a light year later, you could always get a charger easily. Everybody seemed to have just that. 6. Ever dropped your Nokia 1100? Who wouldn’t have… especially since it practically needed no care at all.. Drop it on the road for a truck to go over it, and still it will be in one piece! 7. It was just the right size to fit your palm. No need to carry a bag just to keep your precious phone. 8. Compact? Yes. But it was way too heavy for its size. You could use it for a dumbbell. 10. 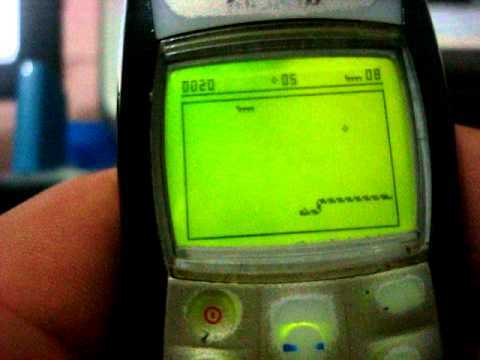 And last but the most missed; it had the father of all mobiles games ever- ‘Snakes’, which you remember going crazy playing it non-stop day and night! Over all this phone was the best phone 10 years back.